I was going through my portfolio and found this beginning of an "Action" painting and decided to rework it today. 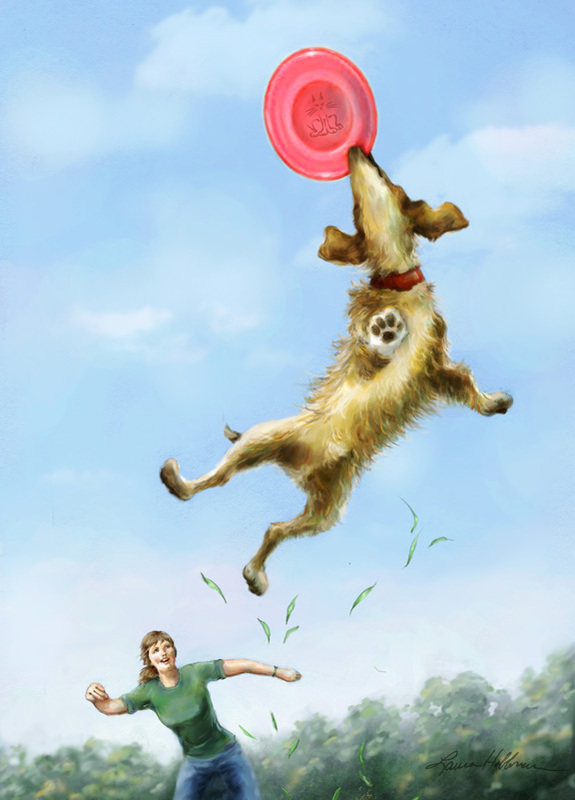 Check out the Easter Egg in the frisbee - I was having fun. Just realized just about all of my portfolio pieces have animals in them. My love of animals - especially dogs and cats - is spilling over into my work. Being the youngest of three kids, I didn't have the chance to grow up around little children - instead, we always had dogs (dachshunds, can you tell?) and some feral cats as pets, and would draw wiener dogs and cats all over everything. Think I will never outgrow this habit. Figuring out if this is finished enough to release into the wild.